Congratulation to UBC Political Science Professor Barbara Arneil, who received the 2018 C.B. 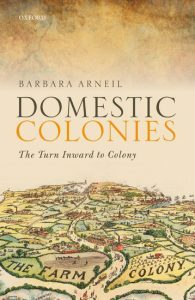 MacPherson Prize in Political Theory, from the Canadian Political Science Association, for her book Domestic Colonies: The Turn Inward to Colony. The C.B. Macpherson Prize was established to honour the life and work of Crawford Brough Macpherson (1911-1987), an internationally renowned teacher and scholar of political theory who served as University Professor at the University of Toronto. The Canadian Political Science Association seeks to encourage the ideals of scholarship represented by this great Canadian political scientist. Past winners include, Glen Coulthard (UBC), Will Kymlicka, Joseph Carens, Duncan Ivison, Monique Deveaux, and James Tully. Arneil was also awarded the 2018 David Easton Award from the American Political Science Association (APSA) for this book, read more about this honour here. For more details on the prize visit the link here. 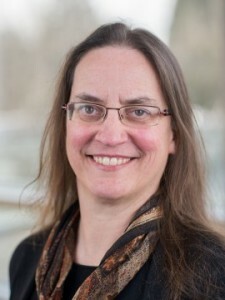 Barbara Arneil (Ph.D, London) is Professor and Head of the Department of Political Science. She is interested in the areas of identity politics and the history of political thought. Her most recent work is in the areas of social trust and diversity, global citizenship and cosmopolitanism, the role of disability in political theory and domestic colonies. She has also just published a co-edited book entitled Disability and Political Theory with Cambridge University Press (2016). Scholarly recognition includes the Harrison Prize (UK Political Studies Association award for best article published in Political Studies), Rockefeller Foundation Residential Fellowship in Bellagio Italy, shortlisted for the C.B. MacPherson Prize (Canadian Political Science Association award for best book published in political theory) UBC Peter Wall Early Career Scholarship and the UBC Killam Research Prize. er most recent work is in the areas of social trust and diversity, global citizenship and cosmopolitanism, the role of disability in political theory and domestic colonies. She has just published a co-edited book entitled Disability and Political Theory with Cambridge University Press, 2016 and Domestic Colonies: The Colonial Turn Inward, Oxford University Press, 2017.